Today we post an article which is related to Android apps and games. Well, Everyday there are lots of apps have been published in the playstore. But, all are not good. Some are Useful and Some are not. So we distinguished some apps which you need try in July. Best Apps And Games In July That You need to try! Android scan is an android app which helps you converting a text image / Image documents to pdf. It's a good app for those who dont have scanners for scan their documents. Keybase is an android messaging app which gives you lots of features with no ads. In the present world, Messaging is now an essential part of our life. Nowadays, We prefer messaging more than calling for small talks and sharing media. 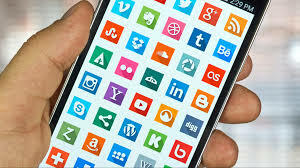 There are already lots of apps in the market which have lots of features. But Keybase app some unique properties or features. Free for everyone. That means No need To pay for any message or service that you use in keybase. Multiplatform App, available for Windows, Linux, Android and Mac os. No need To require Email or Mobile no.